Thimphu, July 2 (SAM): Bhutan’s first and indigenous satellite, CubeSat Bhutan-1, made its way to the International Space Station on board the SpaecX Falcon 9 rocket Saturday, BBS reports. Bhutan-1, weighing a little over one kilogram, took off from NASA’s air station in Florida in the US.The miniature satellite is expected to take around three days to reach the International Space station. However, the satellite will become operational only from mid of August. “After three days, it will be delivered to the Japanese international space agency. From there, it will be launched most probably in second or third week of August,” Jigme Thinlye Namgyal, the Director General of the Ministry of Information and Communications, said. Without a satellite of its own, Bhutan has been depending on other countries. “It does not come cheap and we thought there is a potential if we try to study and have a satellite of our own,” MoIC’s Jigme Thinlye Namgyal said. With the satellite, Bhutan can now take photographs from space, collect data from remote sensors like weather stations, monitor water level and forest coverage and do many more, which was not possible before. Four Bhutanese studying space engineering at the Kyushu Institute of Technology (KyuTech) in Japan developed the satellite. They have worked on it since 2016. The project was funded by the government. “It may be a small satellite but it is a history for our country,” the prime minister said when asked about the significance of the Bhutan-1 launch. Bhutan-1 has a lifespan of only six to nine months. 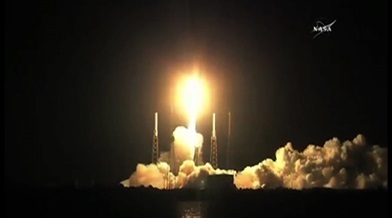 The satellite was launched along with two other CubeSats from Philippines and Malaysia. All three CubeSats were delivered to NASA by the Japan Space Exploration Agency last month.